It should have been a tough ending for Tedious Matsito who passed on in the early hours of yesterday. A trail of misfortunes left him handicapped before fate finally decided to take him to the other world. He helplessly saw his son, Muchapedza (Junior) trying his best to take over the legacy that he had created. As the frontman of Ngwenya Brothers, a group that he started with his brothers Jabulani and Mike, Matsito brought a new style of sungura that became popular with many local music followers. Even the late great singer Leonard Dembo once commented that Ngwenya Brothers was a serious crew in sungura circles. Dembo actually felt challenged when the brothers stole the limelight with their classic album “Nyaradzo”. It should have been a painful experience for Matsito as he watched his son toiling to follow in his footsteps. There was nothing much Matsito could do. He only had words of advice for the young man. He tried to support him at shows on several occasions, but his health limited him. All he could do was to thank the likes of Alick Macheso who took the responsibility to guide Muchapedza musically. A stream of sympathy flew towards Muchapedza every time he went on stage at Macheso’s shows. Macheso himself, known for his emotional frailty, usually broke down as he narrated Matsito’s story and how he was willing to help the young man. An accident that killed Ngwenya Brothers band members and destroyed instruments marked the beginning of a sad tale in Matsito’s life. He probably got consolation when he heard his son expertly belting out songs “Gede Mwana”, “Nyaradzo” and “Manyepo”. He probably got consolation when promoters supported him materially, but the satisfaction that comes with thrilling crowds kept evading him as physical challenges took their toll on his body. An amputated leg and weary arms that were hit by two strokes made life hard for Matsito. He fought his battle, but the energy escaped him gradually until his last breath early yesterday. The arts industry was plunged into mourning as news of Matsito’s death filtered through. He will be remembered for his great sungura style that no one else, including certifies copycats, managed to imitate. Only Muchapedza seems to have mastered his father’s art. Fellow artistes had words of encouragement for Muchapedza yesterday. Some texted him and others posted on social media. Sadly, very few had visited the musician’s house yesterday to console the family. Somandla Ndebele, Pastor Haisa, Howard Pinjisi and Esau Macheso were some of the artistes to visit house number 5969 Kuwadzana 5 by yesterday afternoon to pay their last respects to Matsito. Alick Macheso could, obviously, have been there if he had not travelled for his South African tour. His wife Nyadzisai was there with Matsito’s widow. His son Esau was with Muchapedza for the better part of the day. It was all love from the Macheso family. In an interview with this publication, Esau Macheso showed great love for his friend Muchapedza. “We have been doing music together after my father offered to nurture Muchapedza. We are working on some projects together. We wanted his father to have a feel of his son’s first album, but God had another plan. Matsito is gone and we are gathered here to honour him,” said Esau. Muchapedza said the gap left by his father is not easy to fill. “He was a creative musician and I know it will not be easy to carry over his music. I am trying my best, but I know this task is huge. I just hope people will understand that it is a tough task. I wanted to learn a lot from him, but he has died before imparting enough knowledge to me. I hoped he would get better and we could share the stage at several shows, but his condition kept deteriorating. 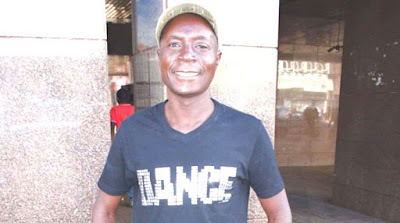 I am grateful to Macheso and others that are assisting me on this journey,” said Muchapedza. Soma has beautiful memories of his late friend and fellow musician.